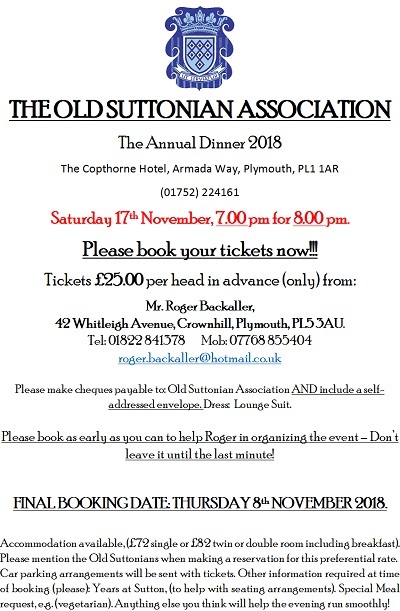 Annual Dinner at The Copthorne Hotel, Plymouth, 17th November, 2018. 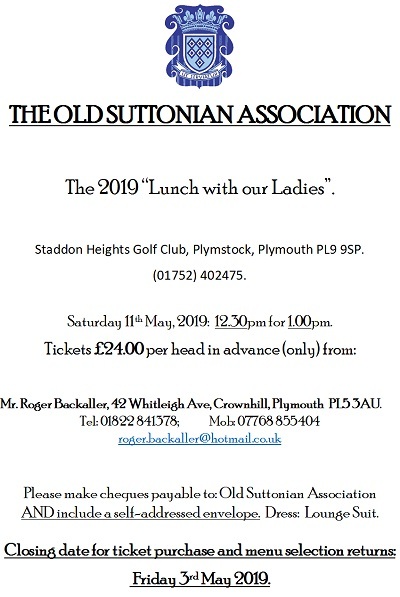 Deadline for articles for the 2019 Bulletin is 31st May 2019. Where possible please submit material for inclusion to Roger Willis.